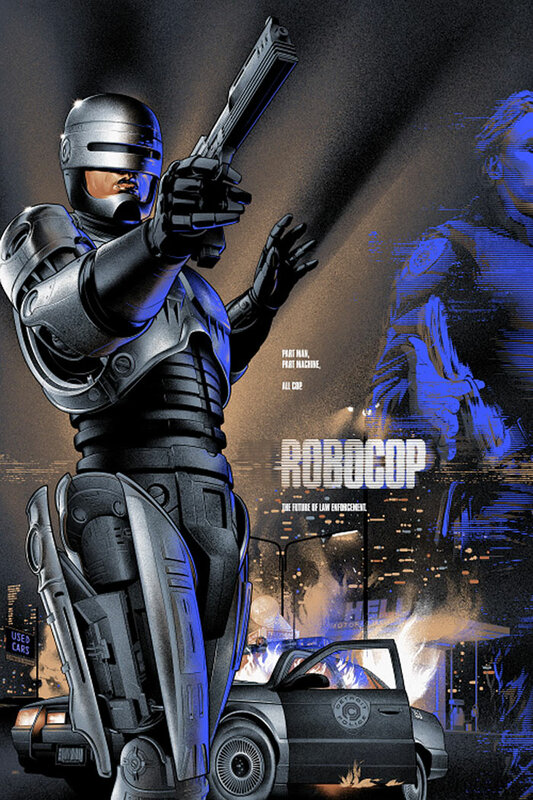 Limited edition poster for Paul Verhoeven's RoboCop, released at the artist's exhibit held in Mondo's Austin gallery during SXSW '14. This is the variant edition printed in metallic inks. A truly iconic movie and one that defined the 80's and director Paul Verhoeven. The story is set in a dystopic and crime-ridden Detroit, a terminally wounded cop returns to the force as a powerful cyborg haunted by submerged memories. The 2014 remake tried to recatpure the magic with a small amount of success, but the hyper violent original is still head and shoulders above it.